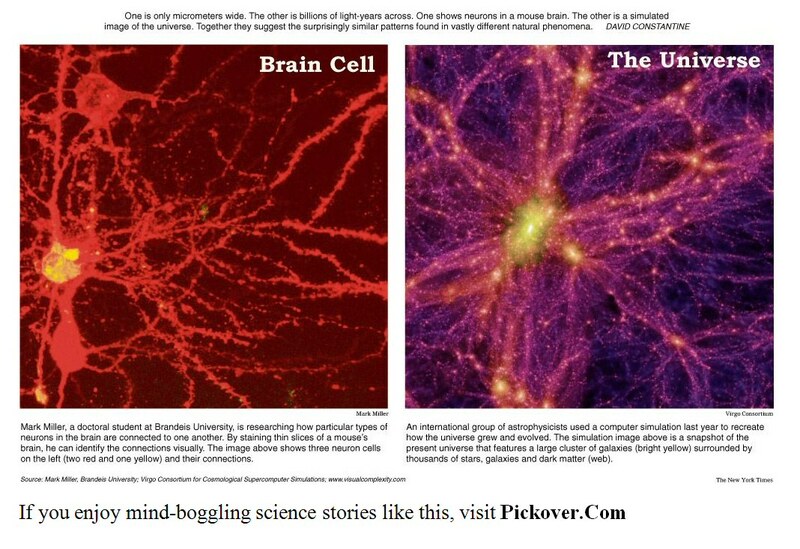 Physicists discover that the structure of a brain cell is the same as the entire universe. we are one. Really an Eye opener! These pictures gave me goosebumps. So inspiring, thanks for sharing. Amaaaazing!!! Just goes to show you....Truth REALLY IS stranger than fiction. Thanks so much for this, Ben. We not only are one with each other.....proof positive that we are ONE with the ENTIRE UNIVERSE!!! Yaaaaaay!!! This also reminds me of what Abraham says about the vortex. Creation starts from a central point, or the vortex, and the NRG pulses outward. Thought = Creation. The universe is within you, all things are reflections of you, we are one. Excellent point, Frances. Since, as Ben just stated, WE ARE THE UNIVERSE.....just a paler shade of it, it would appear. In other words, our frequency is not that high yet. Something to focus on and more to realize and accept? A positive affirmation, Great post! I've always known this but seeing the pictures confirming one's belief is a good feeling. THANK YOU BEN, FOR THIS VIDEO. Nice Vid, hopefully that rised my vibration and stimulated my DNA after watching it. Flower of Life folks. The only symbol that is needed to unlocking it all. So simple yet so immensely deep that words just can't describe. It seems like we're living inside a infinite level of dimensions and realities across time/space and space/time. So it really is like existence itself is inside of a picture and within that picture there is another existence of it and so on and on towards the infinite. Love,light and joy to you and all lightworkers in the unviverse.